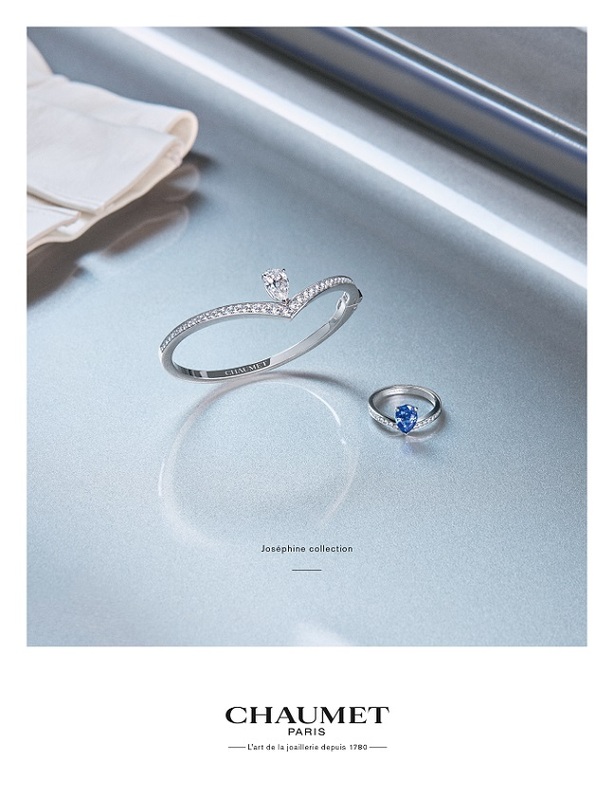 Chaumet’s new advertising chapter expresses the Maison’s rich narrative and imagines a “ suggested ” woman, glimpsed in moments. 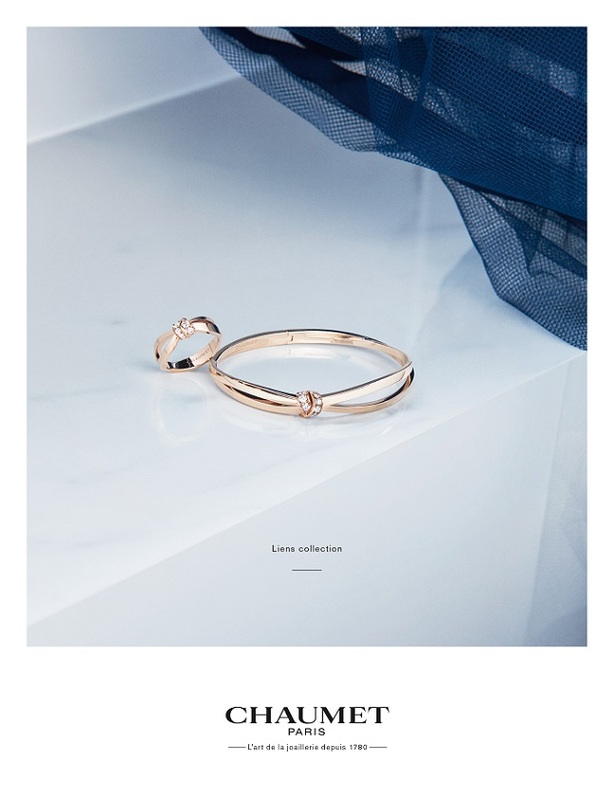 In an original approach, the campaign by BETC Luxe offers visuals in the form of product shots, still lifes and cinemagraphs. 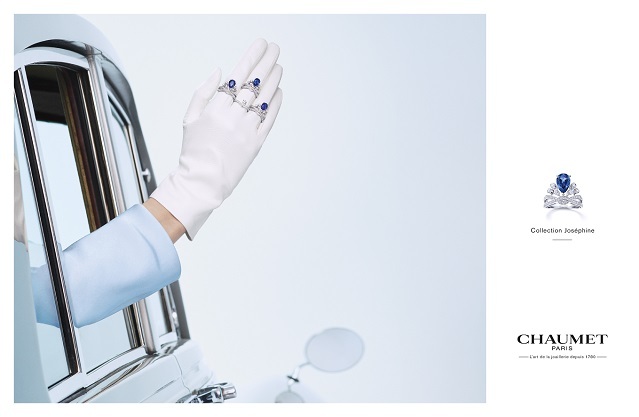 The new Grace and character signature defines the Chaumet identity and style, and will inspire the brand’s communication in the future. The three scenes of the campaign refer to universally known fairytales, stories and situations, unconventionally interpreted with lightness and wit. This reflects the unique mix of culture and whimsy that is dear to the Maison. 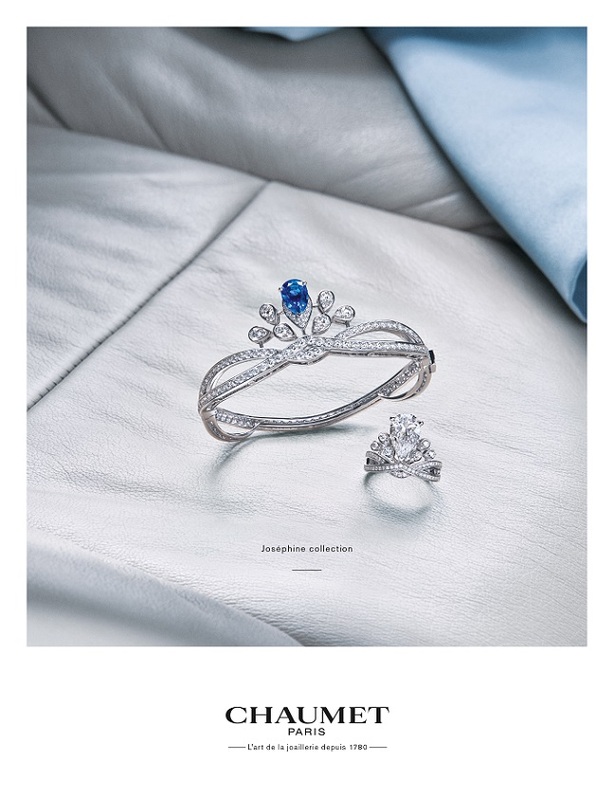 Presented with a singular twist, Chaumet’s founding codes are the heroes of these stories : the tiara, symbol of elevation and the Maison’s signature piece worn in an unsuspected manner, the Chaumet blue, a cousin of the Bleu de Sèvres, colour of the royal court, of the sky and the Arts ; the Joséphine tiara-ring, an essential that pays homage to the great empress and muse of the Maison… All these themes are illustrated in movement, to the ever-present rhythm of the Chaumet creations. Seized in the movement, three moments in a woman’s life are revealed like stolen instants. Time is frozen ; mystery and surprise open the door to myriad possibilities ; where is she going? Where is she coming from? Who is she meeting? 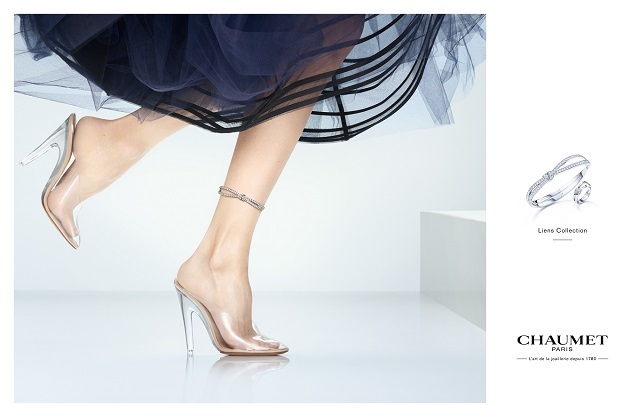 Elegant and free, funny and playful, the Chaumet woman, unhesitatingly Parisian, creates her own jewellery rules with panache. 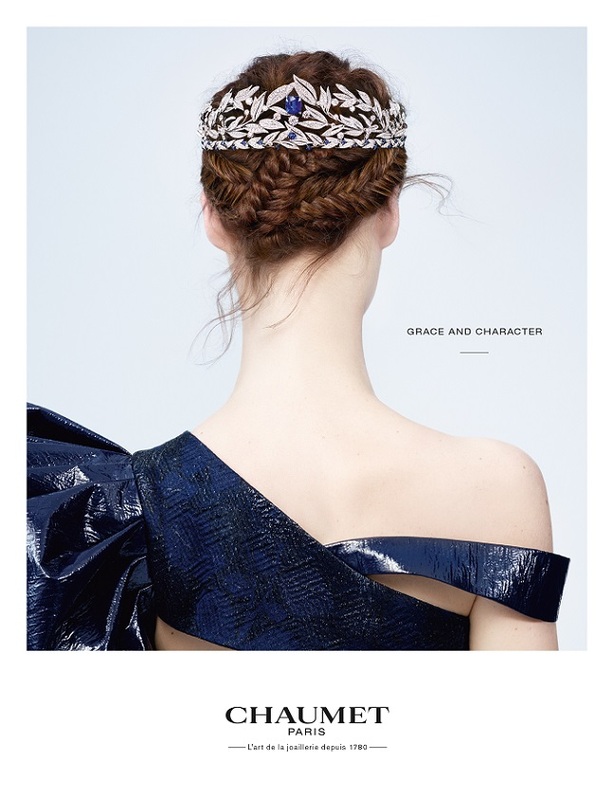 A majestic Laurel tiara sits on the back of the head, a gloved hand on a car window is adorned with Joséphine rings, the Liens Séduction bracelet curls around the ankle ; the Maison’s icons take center stage with a touch of humour, demonstrating that one can be imperial with grace and character.